One of the trends we’re tracking in 2018 is the bold use of color for cabinets. Whether it’s a kitchen island, or powder room vanity, color pops are everywhere this year! We are particularly inspired by the 2018 Sherwin Williams® color of the year, OCEANSIDE. 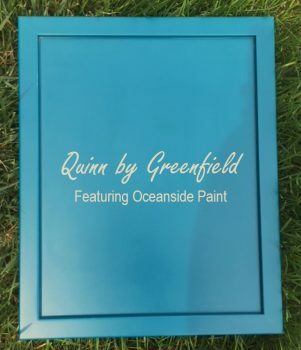 According to the Sherwin Williams website, Oceanside is a “collision of rich blue and jewel-toned green.” Indeed it is, and worthy of the name. 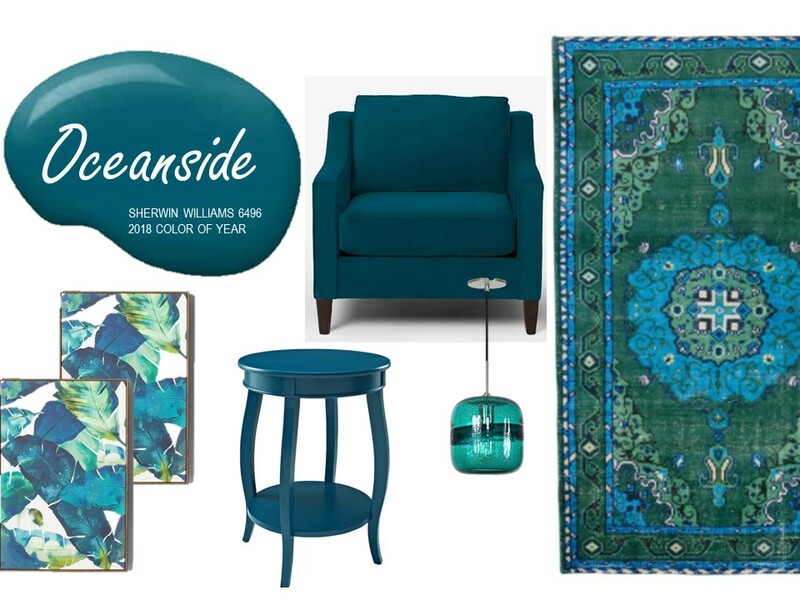 Oceanside has motivated us to create our own inspiration board, gathering up other rich blue/green product trends. And guess what? There are quite a few! Shown here: (clockwise) Target, Tropical Palm Framed Wall Art, in Canvast Blue; West Elm, Paidge Chair in Performance Velvet, Lagoon; Lulu and Georgia, Empress Rug; Houzz Enisage, VI 1-Light Mini Pendant; and Wayfair, Axtell End Table in Teal. At Greenfield Cabinetry, we offer a Sherwin Williams and Benjamin Moore® Designer Paint Program. This program provides homeowners with the ability to match any current Sherwin Williams or Benjamin Moore standard fan color for a modest fee. Which means… you can mix and match colors to your heart’s content! Curious as to how Oceanside would look on a cabinet door? Wonder no more! 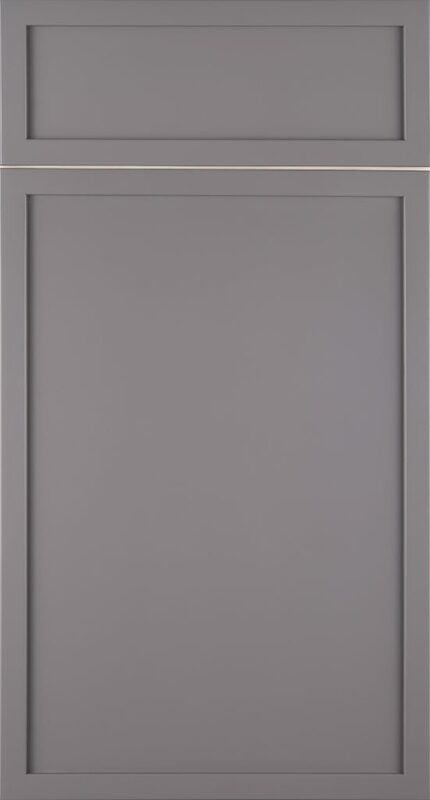 Here’s a special sample of our Quinn door style, in Paint Grade material, and the Oceanside designer paint color. We can feel the summer breeze now…can you? Want to learn more about the Greenfield Designer Paint Program? Locate an authorized Greenfield designer near you.